Life Ionizer MXL-7 Ultimate Review: Photos, Video, Filters & More! Welcome to today’s installment in my Life Ionizers review series. Today, I share with you my in-depth Life Ionizer MXL-7 Alkaline Water Ionizer review. I’ll cover both the countertop and under counter versions of the MXL-7. The MXL-7 is part of Life Ionizers newest 2019 lineup of alkaline water machines, and it’s the third machine I’ve reviewed in the collection. You may have also seen my reviews for the MXL-15 and MXL-5. The MXL-15 is the most premium of the bunch while the MXL-5 is the most affordable water ionizer in the series. Today, we’ll see how the MXL-7 stacks up against Tyent, Enagic’s Kangen Water brand, and other ionizers in its class. For those of you who are new to the MXL series, here’s how to know what makes each MXL model different. The number after MXL signifies the number of platinum-coated titanium electrode plates inside the machine. Since the plates are the most expensive part of any water ionizer, the cost goes up as the number in the MXL series goes up. Now, let’s check out all the features included in the MXL-7. What Are Current Owners Saying? The faucet allows you to choose your water settings right from your sink without having to reach down to adjust the settings on your machine. When you order your MXL-7 water ionizer, it comes with a set of 2 filters. Life will pull your local municipal water report to ensure you receive the best filters for your area. Each year, your local water provider must submit a water report to the EPA. Life Ionizers accesses this annual report to choose the best filter for you. MXL filters contain activated carbon, Vitamin C Ceramic Block®, USA-made KDF for VOC (volatile organic compounds) and heavy metal removal, and Life CleanTech™ filtration to prevent hard water buildup inside your machine. Life had its filters independently tested, and all water contaminants were reduced to undetectable levels. You can click here to see the full report. The filter life of the MXL series filters is approximately 6 months, depending on your daily water intake. You may want to install an inexpensive whole house pre-filter to extend the life of your ionizer filters and avoid any hard water buildup inside your machine. Don’t use a reverse osmosis water system with your MXL ionizer because the ionizer won’t function properly. You need minerals in your water for the ionization process to take place. If you already have a reverse osmosis water system, you can add an inline remineralization cartridge to your RO system. You can then use the remineralized RO water in your MXL ionizer without a problem. Depending on which model you purchase, installation can be very easy or normal easy. Everyone should be able to install the countertop model in under an hour without much effort. The hardest part is cutting the included hoses to the correct lengths to suit your kitchen. Before purchasing your countertop ionizer, you should account for the footprint of the machine to make sure you have enough counter space. The footprint measures (12.5″ Width x 6.25″ Depth). The under counter installation is a bit more complicated. Some of you may prefer to hire a local plumber to avoid the hassle of installing it yourself. Although, if you’re handy and confident you can install it yourself, you should have no problem at all. Life provides you with detailed instructions and installation videos to make the process as painless as possible. The under counter package comes with all the necessary parts for the installation. You’ll only need basic tools including a wrench to get the job done. You may be wondering if Life Ionizers is a company you can trust? I’ve done a lot of research on water ionizer companies, and in my opinion, Life is one of the three most trustworthy companies selling ionizers in the United States. Tyent, Life Ionizers, and AlkaViva are the three companies I trust the most, and you’ll find reviews for all of their products here on my site. These three companies manufacture their parts and machines in Japan and South Korea. Japan and South Korea are the only two countries that certify alkaline water machines as medical devices. Even the much more expensive Kangen Water brand manufactures its machines in Japan under the same standard. Life manufactures its ionizers in an ISO-certified facility in South Korea. Back when I used to manage casino construction in Las Vegas, I became familiar with ISO. ISO stands for International Organization for Standardization, and to make a long story short, it’s a plus to see that a company manufactures its products in an ISO-certified facility. Outside of its certifications, Life has glowing reviews on Trustpilot, ResellerRatings, and Amazon. The one grade they don’t have that AlkaViva and Tyent have is an A+ Better Business Bureau Rating. I always like to read what current owners are saying about a product before I make a purchase. The most exciting part about ionizer reviews is reading how people have changed their lives through the healing power of alkaline ionized water. One longtime customer confirmed that her Life Ionizer has stood the test of time. She’s had hers for 9 years, and it’s still going strong. Another woman confirmed that Life accepts trade-ins of older models for the new MXL series. That’s nice to know for future upgrades. One gentleman who suffered from migratory arthritis was able to completely reverse his symptoms after introducing alkaline ionized water into his life. Another gentleman reported “clear skin” and “better digestion.” He also said alkaline ionized water is much better tasting than normal filtered water. One of the more touching reviews I came across was written by a mother who bought an ionizer to help a family member with Chronic Leukemia. She reported that her loved one’s cancer has since gone into remission with the help of alkaline ionized water. Click here if you’re ready to add the MXL-7 to your kitchen and begin your alkaline water journey. I like Life Ionizers as a company, and their new MXL series is nothing short of amazing. The best place to put your money for a new ionizer is in a Tyent, Life Ionizer or AlkaViva ionizer. The Tyent UCE-11 and ACE-11 are more expensive than the MXL-7 because they have 4 more platinum-coated titanium plates. A similar unit you may be interested in that also comes with 7 plates is the Athena H2 by AlkaViva. The best budget ionizers available right now in 2019 are the MXL-5 and Melody II by AlkaViva. A big reason I recommend Life Ionizers as a first choice is the built-in molecular hydrogen infusion technology. I’ve done my research on molecular hydrogen benefits, and I’m on board with the science I see proving that molecular hydrogen is a powerful antioxidant. In my opinion, molecular hydrogen boost is a must-have feature in any ionizer, and you get it in all MXL series ionizers. 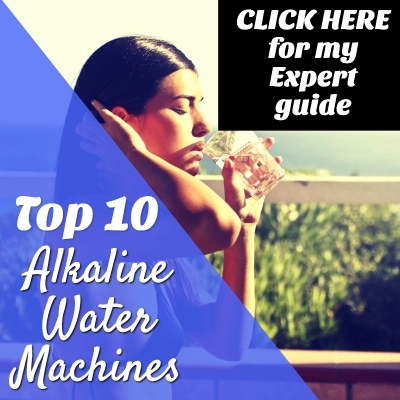 Bottom line is you can buy the MXL-7 with confidence you’re putting your money into a premium alkaline water machine that costs $1,000s less than a Kangen Water machine with similar features. You also get the Life 10-year warranty on labor and lifetime on parts. Cheers to you and your family’s good health!